re: 27-Jun-2011 – UKIP PEPP Propaganda Session! I thought this might interest folks in the West Midlands who want to hear the proven liars Mick McGough & Stuart Agnew MEP putting forward Nigel Farage’s choice of money spinners – The EU has promised people who help them bring in this utterly odious scam to demean National Political Parties to strengthen The EU, extra money and perks. Currently if The EFD loses another delegate then it is probable Nigel Farage MEP will lose his Duplex Office and his Chauffer Driven Limo. It is these sorts of bribes that are used together with more Junkets and bigger allowances that keep MEPs on The Gravy Train doing The EU’s bidding. On Monday 27th June, UKIP in the West Midlands will be holding a hustings prior to a vote on the issue of pan European political parties. The question, which will be put to the members of UKIP, who will be voting on this issue, will be: should UKIP join a pan European political party or not? It is a matter all members will have to decide on. If you are a member of UKIP and really want to learn the ins and outs of how this will affect us in UKIP, which is going to be an important for all members, it really will be in your best interests to come along to the hustings on the 27th June, listen to the cases for and against, and ask questions. By doing this you will be certain you will be voting in accordance with your views rather than wishing you had taken more notice after. The venue is the Great Barr Hotel, which is where the last two leadership hustings were held, and is close to junction 7 of the M6 where the M5 and M6 motorways meet. The hustings will kick off at 7.30 pm prompt, so please be there before, you can get a drink in the bar and have a chat with fellow members if you are early. For directions and other information about the hotel go to: http://www.thegreatbarrhotel.com/index.php?page=directions The full address is: The Great Barr Hotel, Pear Tree Drive (off the Newton Road), Great Barr, Birmingham, B43 6HS. Please make every effort to be there, it is an important issue and you will need to be well informed. There is no charge for the meeting, although there will be a voluntary collection to help pay for the room hire. If you wish to know more, please call me, tel: 07813 153897, I will be pleased to help. Derek Bennett’s boss – Mike Nattrass MEP – has resigned from the UKIP Group and no longer accepts Nigel Farage’s control as leader – He now controls his own budget and staff independent of the control of Nigel Farage – hence he, Trevor Colman MEP (Same position) and Nikki Sinclaire MEP have been advertising The Petition for an EUReferendum in National Press. 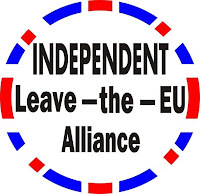 Acquitting their duty of campaigning to Leave-The-EU whilst the rump of the party sqabbles like ferrets in a sack to keep their snouts in or near the troughs on the Gravy Train – accepting the EU bribes and working to help the extremists in The EFD Group.